Stock # HED26459_1, 6.7L Power Stroke V8 Turbo Diesel B20 Engine, 32820 mi. Looking for a clean, well-cared for 2017 Ford Super Duty F-350 DRW? This is it. Drive home in your new pre-owned vehicle with the knowledge you're fully backed by the CARFAX Buyback Guarantee. Excellence, luxury and stature are just a few of the pillars this car is built upon. 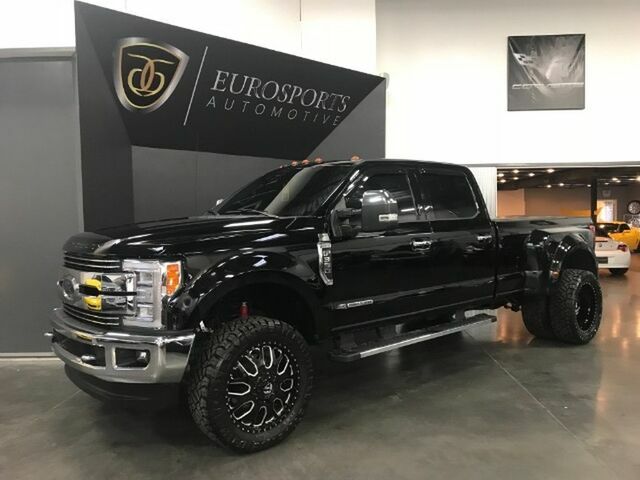 With 4WD, you can take this 2017 Ford Super Duty F-350 DRW to places roads don't go. It's all about the adventure and getting the most enjoyment out of your new ride. Based on the superb condition of this vehicle, along with the options and color, this Ford Super Duty F-350 DRW Lariat is sure to sell fast.